4 BNC Video input + 8 Audio inputs. Omnidirectional Antenna supplied in kit. Range from 200m~4km dependant on Aerial. May be used as a Repeater for all our 5.8GHz Systems. 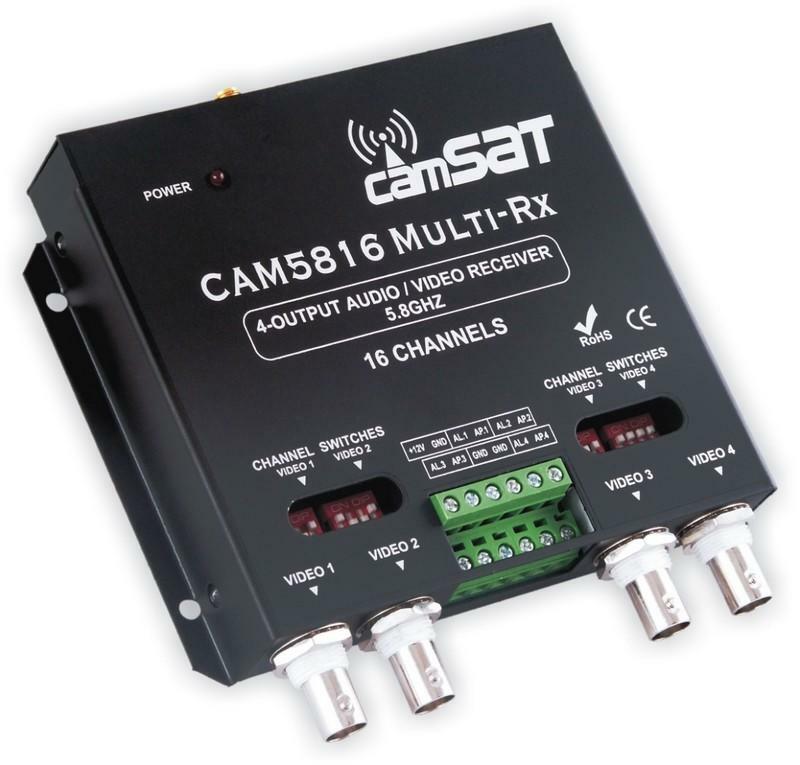 5.8GHz Internal Multi Receiver for up to 4 Cameras. 4 Video and 8 Audio Inputs and Outputs. Omndirectional antenna to enable reception of cameras mounted at various different angles to the Receiver. Range of alternative aerials available for extending transmission distance which can be between 200m - 4km. This unit can also be used as a Repeater to extend the range of all our 5.8GHz systems.